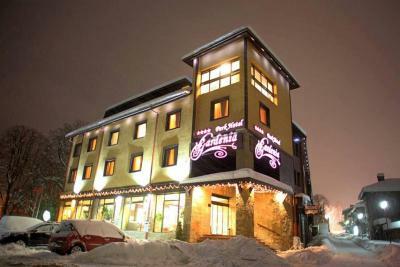 If you like to walk in the old town this is the hotel for you, and the food was excellent !!! Nice food , need to open the restaurant in 7:00 and no after!! Friendly staff, everything was just good in general. The breakfast. 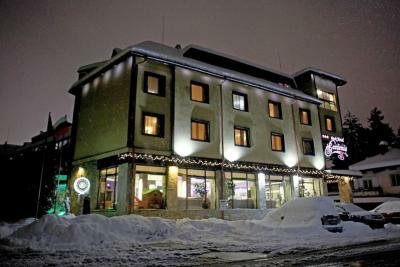 The position of the hotel - very close to the center of the town. 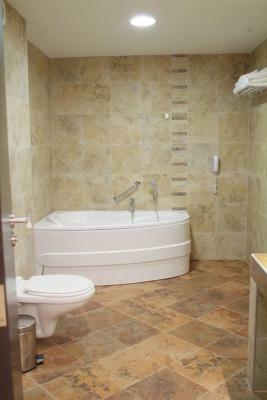 Staff were very polite,good location, clean and warm rooms. 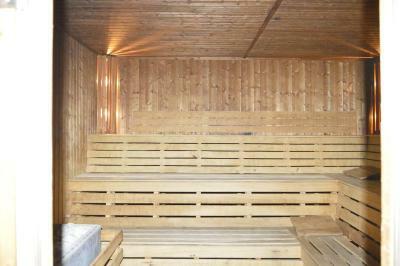 Nice scenery, comfortable beds, warm rooms, the lobby is nice and comfortable, good dry sauna. The guys at the ski rental were really friendly and we got along really well, also with a bartender and a guy who worked at the lobby. Thank you! Also, a good thing is the free shuttle. But every hotel has one. We parked in front of the hotel's entrance and we had to pay 7 BGN per day. There was a surveillance camera that covered the parking spaces near the hotel. 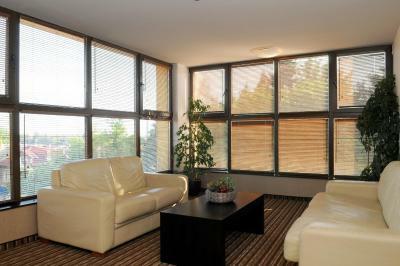 Warm, space in room, clean, and verry nice host people! 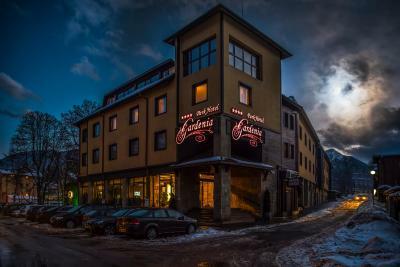 Gardenia Park Hotel This rating is a reflection of how the property compares to the industry standard when it comes to price, facilities and services available. It's based on a self-evaluation by the property. Use this rating to help choose your stay! 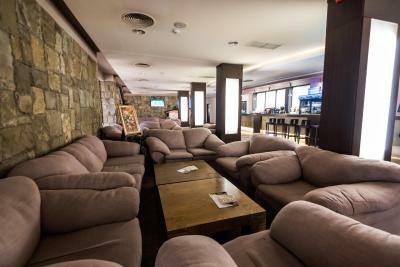 One of our best sellers in Bansko! 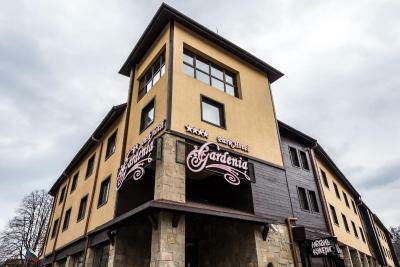 Gardenia Park Hotel is located in the center of Bansko, offering free transport to the first gondola station in the winter season. 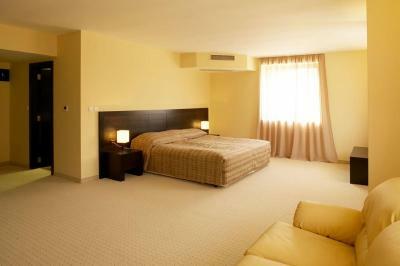 The rooms come with free WiFi. 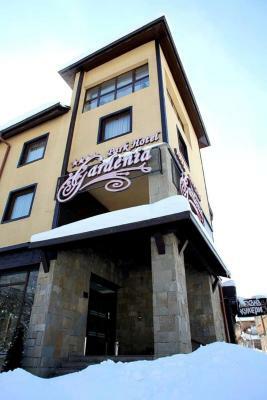 Gardenia Hotel has an outdoor elevator with a breathtaking view of the ski tracks, a modern spa center, ski wardrobe, ski rentals and a 24-hour front desk at your disposal. 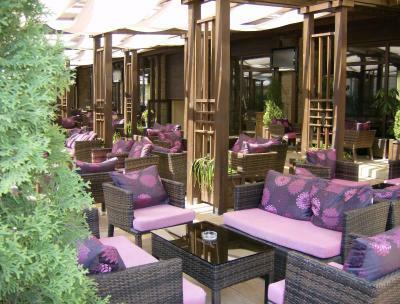 The Kukeri Mehana, a traditional Bulgarian tavern, offers live music accompanied by folk dancing and authentic Bulgarian and regional dishes. 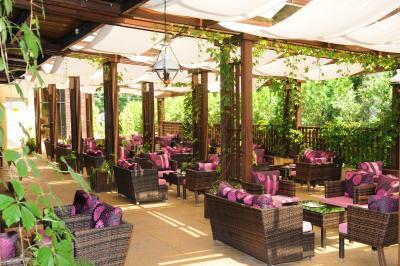 The menu also includes Russian cuisine and Mediterranean seafood. 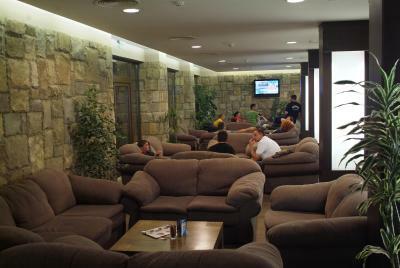 The hotel also has a comfortable lobby bar and free Wi-Fi is available in all public areas. 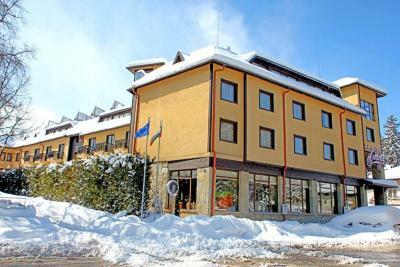 From 23 December to 31 March the Park Hotel offers you, besides the transfer, your own lockable ski storage space. 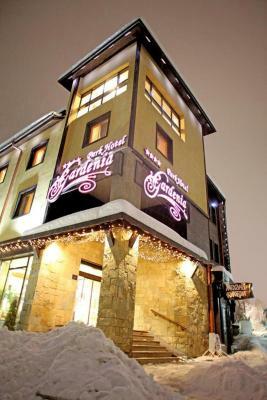 When would you like to stay at Gardenia Park Hotel? 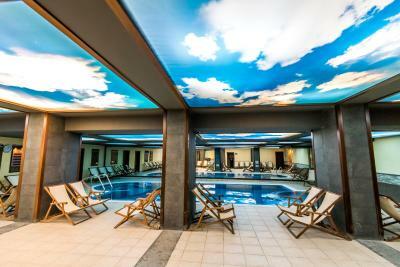 The spa access includes free use of indoor pool, sauna, steam bath, fitness, hot tub. 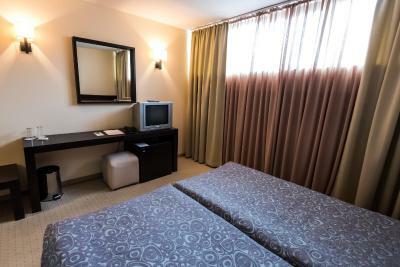 Public parking is available at a location nearby (reservation is not possible) and costs BGN 7 per day. Please note that there is no capacity for an additional bed above the current bed configuration. 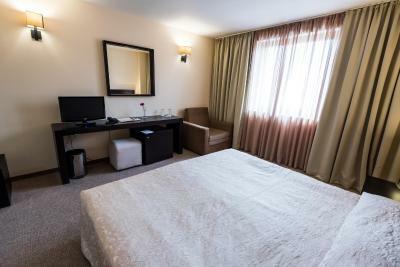 Air-conditioned room, featuring a TV with cable and satellite channels, a safety deposit box and a private bathroom with free toiletries, a bathtub and a hairdryer. 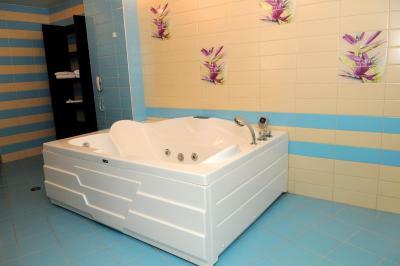 Please note that this room is suitable for 2 adults and one child up to 14 years. 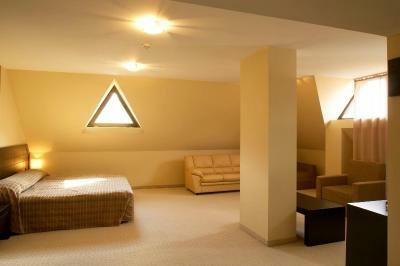 All economy rooms are on the third floor and feature a very small window. House Rules Gardenia Park Hotel takes special requests – add in the next step! Gardenia Park Hotel accepts these cards and reserves the right to temporarily hold an amount prior to arrival. Please note that the half board rates do not include beverages. Please note that meals are either on set menu or buffet style. Please note that rates on 3 March 2019 include a festive dinner. 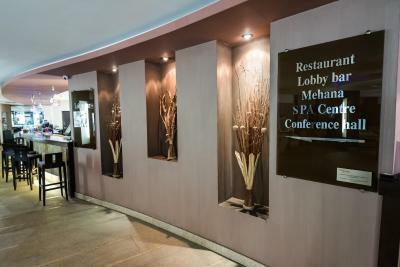 We really enjoyed Gardenia Park hotel mostly because of the great facilities, friendly and helpful staff as well as its value for money. We'd definitely go back again. 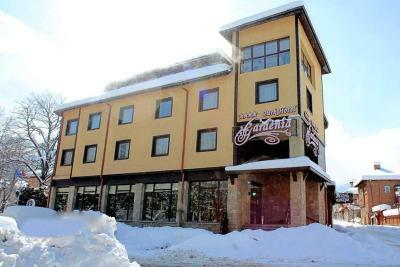 Hotel location is great, but besides that it is a far cry for a 4 start hotel. 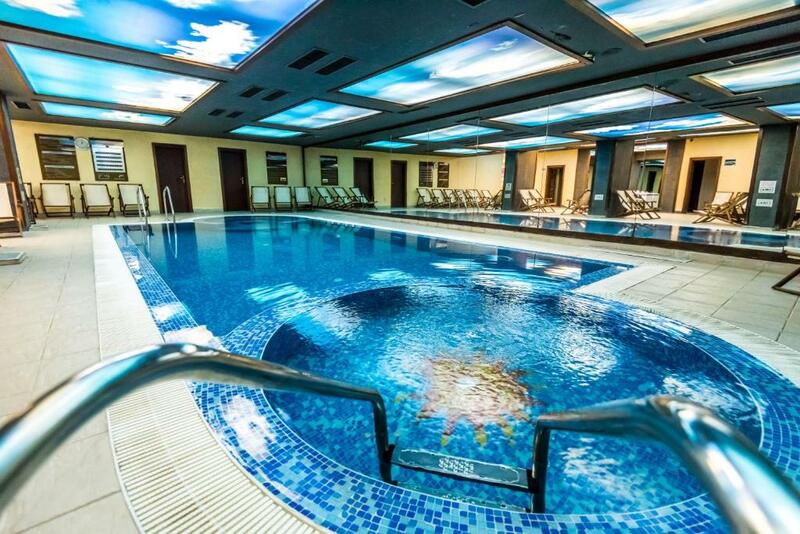 My brother stayed there in January and he had good reviews about it that's why I chose it, but the staff thought otherwise, they stated that because it is off season the standard is much less eg. my brother had buffet breakfast but we got two slices of ham two slices of cheese and a hard boiled egg. I complained and they were quite rude about it, they said because I paid less the standard is less. I stated that a four star hotel is a standard that should be kept all year round and to make it up they left me a bottle of wine in the room, went to put it in the room mini bar...guess what..it doesn't work. In the room carpet stained and torn, and the windows in the room you can only see the sky as they are so high. We requested two single beds, but they gave us a room with two single beds joined to each other, asked them to change it, yet again they gave us the same, so me and my mum had to move the furniture around so we get the two single beds we asked for. The staff all seemed sad or angry, but after I did some research , they are all underpaid and over worked. 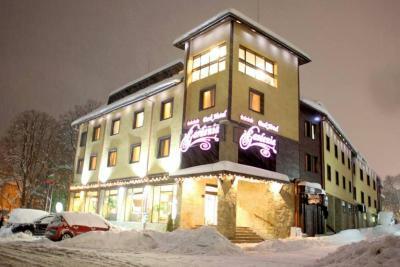 The hotel has much potential, but the management are a disgrace. We notified the staff that we are vegans, we'll require a vegan meal. The staff reached the chef, who confirmed that is aware, and he'll said he'll prepare us vegan meals. But at the breakfast, they wasn't a vegan meal, so we were forced to eat bread and olives. The chef avoided talking to us. The breakfast was a bit poor, but I think it was cbecause it was the end of the season. Very good overall experience for the price. 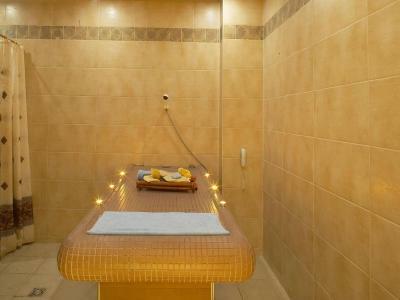 The SPA center was well maintained, the rooms were clean and the staff very responsive. There was not a great variety of choice for the breakfast included. The only great problem was with the hot water as we were running out of it. the location from the ski gondola, and center from evening life area.